The National Institute for Occupational Safety and Health (NIOSH) Personal Protective Technology Program (PPT) and National Personal Protective Technology Laboratory (NPPTL) recently announced that on June 18, 2013 it will host a special Stakeholder Meeting on Respiratory Protection for Healthcare Workers in Atlanta, Georgia. During the meeting, participants will discuss improving respiratory compliance in the healthcare industry. Agency officials hope stakeholder feedback will provide insight that could assist them in updating the PPT research agenda and evaluating progress in the quality of available healthcare respirators. The meeting will consist of expert presentations on the latest scientific data and discussions on new topics in respiratory protection for healthcare staff. 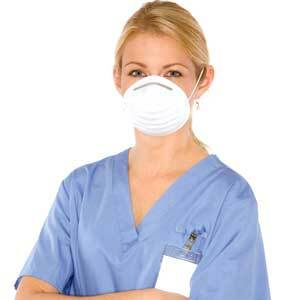 Safeguard healthcare workers and improve compliance by providing the proper respiratory protection and training.